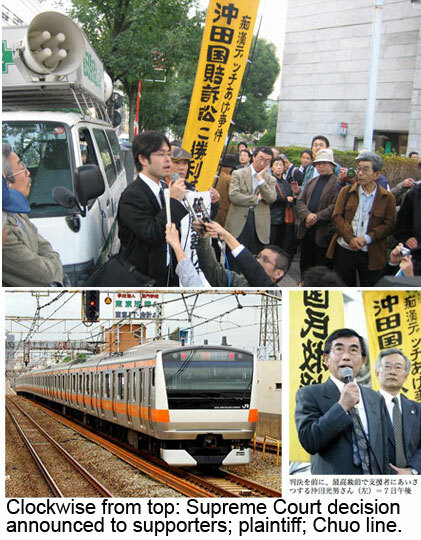 After ten years of litigation, the Japan supreme court ruled in favor of a man who challenged an allegation that he fondled a woman on a Tokyo train. The Kunitachi man [Ed - he’s my neighbor, FYI] fought the police charges in 1999, then filed civil suits against the woman accuser. Reporting on the outcome of the case, a Tokyo television news program took care to include animated digital humanoids to depict the alleged molesting motion.